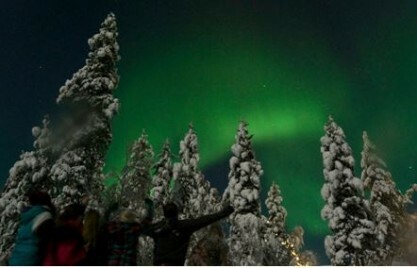 10 Northern Lights – In the most magical place on Earth how could seeing the Northern Lights not be well… magical. And because they are not always out, seeing them becomes that much more spectacular. 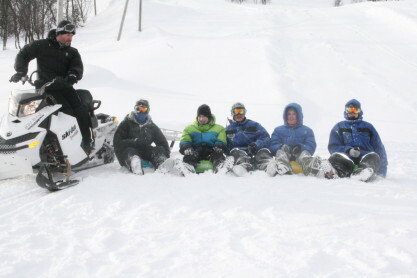 9 Tobogganing – How many places can you claim this as a mode of transport? It’s no reindeer drawn carriage, but flying down the toboggan run with no brakes is so much fun! 8 Reindeer – Speaking of those reindeer, imagine getting to meet Rudolph and his friends, feeding them and even being taken around in a sleigh by them. Now stop imagining it because here you can live it. 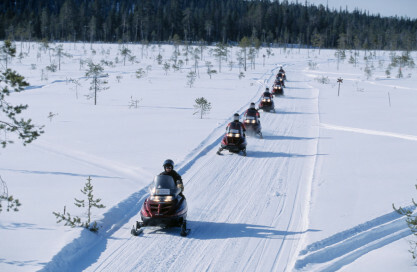 7 Snowmobiles – there are quicker ways to get around, such as reaching up to 60km through fresh snowy landscapes and forests on one of the snowmobiles. Definitely beats the traffic jams and British motorways. 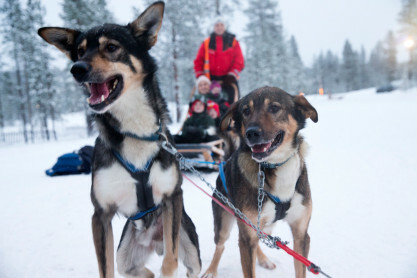 6 Huskies – By far the cutest way to get around is with highly excitable huskies. With one of the grown up’s driving, they will easily pull along your family and be waiting for cuddles afterwards. And they’ve got plenty for everyone. 5 The Elves – Very cheeky and very fun, the elves always want to play. 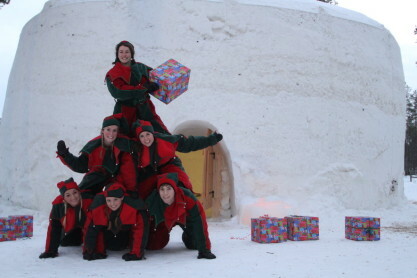 Popping up all over Lapland, they always bring the Christmas spirit and a smile to your face. 4 Snow – A white Christmas. A winter wonderland. A snowy bliss. Going for a walk and losing yourself in a dream, and knowing whatever age you are, you must throw a snowball, maybe even build a snowman and make a snow angel. 3 Santa – The man himself is waiting for you to find him. I walked into his cabin like a school girl meeting her favourite pop star. Beyond star struck and beyond words, it is an experience that will make you remember how special Christmas is! 2 Families and Children – Children make Christmas, just seeing their eyes light up as they soak in everything around them. They bring the smiles and laughter and magic. 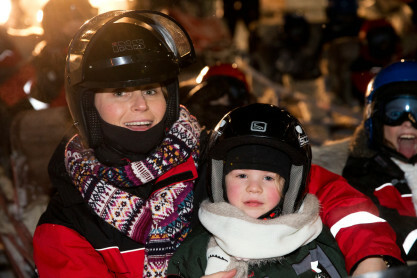 Watching the families enjoying Lapland makes it feel like Christmas every day. 1 Once in a Lifetime – This is a once-in-a-lifetime trip for so many people so we try to make it as amazing as possible so they will always have unforgettable memories. But it’s also a once-in-a-lifetime trip for many of the staff working here who want to make the guests’ holidays the best they can. 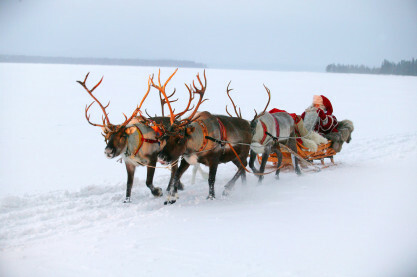 Together, we can look back at Lapland and remember the magic too.